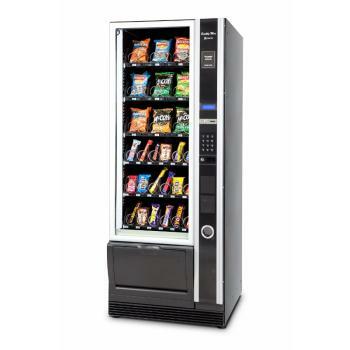 At Ratio Vending, we have one of the most comprehensive ranges of snack and food vending machines in Ireland. Our machines and equipment are capable of vending a huge range of products, including sweets, crisps, chocolates, and even hot meals. The standard glass fronted snack vending machines offer a fantastic combination of quality, reliability, and sales. The glass front results in a strong visual impact that serves to encourage impulse purchases, leading to a high sales impact. Meanwhile because the machines are so large, they are able to provide a much more varied choice than most other vending machines. 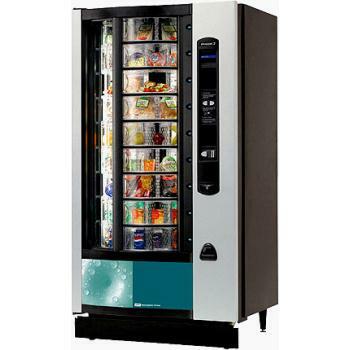 Our snack vending machines are available in a wide range of configurations. They can be used to vend food, drinks, or a combination of the two. 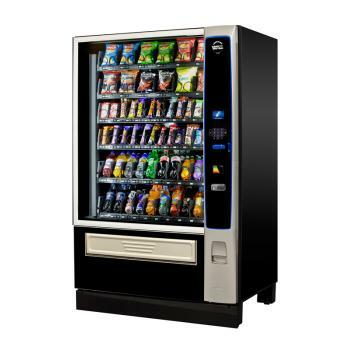 We also have some more compact snack vending machines, ideally suited for areas where space is more limited, such as stairwells, corridors, and smaller staff rooms and canteens. For those occasions when something more substantial is required, we also offer some excellent food vending machines. These can be configured to vend a huge variety of products, from healthy chilled items such as fresh food and yogurts, to larger snacks, and even plated meals. Our food vending machines are ideal for occasions when a 24/7 catering service is required yet too expensive or impractical to run a round-the-clock cafeteria. They are particularly popular in locations where hungry people must routinely work through the night, such as hospitals and university libraries. All of our snack and food vending machines are available in a wide range of configurations. If you are unsure as to which configuration would be right for you, our sales team would be happy to help you arrive at your ideal solution.